Ushering spring-time with rose scents...Diptyque, purveyor of fine fragrances and great quality candles, is voting for roses this spring with two releases centered on the queen of flowers.With St.Valentine's Day around the corner, they're romantic gifts to be given. 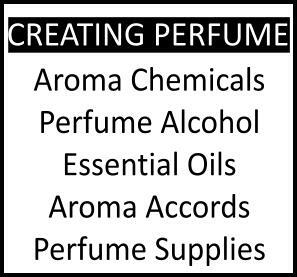 Since the times of the legendary Semiramis, who cultivated roses in the Hanging Gardens of Babylon, roses have fascinated perfumers. Tea rose with spicy notes, luscious carnal roses, milky roses, satin rose or rose pompoms.....just roses!! Imagined like a rose infusion, Eau Rose celebrates the multiple olfactory facets of the rose, in its natural state; from morning dew (with tart notes of bergamot and blackcurrant) to daybreak (thanks to fruity lychee) to the sensual woody nuance of musks and cedar of nighttime. Coveted in Grasse and the Isparta region in Turkey, Rosa Centifolia and Rosa Damascena infusions sign an essentially natural fragrance, soft and powdery woody, and not aging at all, thanks to the tartness of the fruit notes which refresh it. base notes: Virginia cedar, musk and white honey. Eau de Toilette spray 100ml retails for 72 euros/98$US. 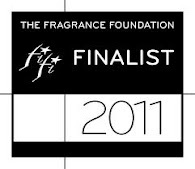 The fragrance is also available in a roll-on (20ml for 35euros). 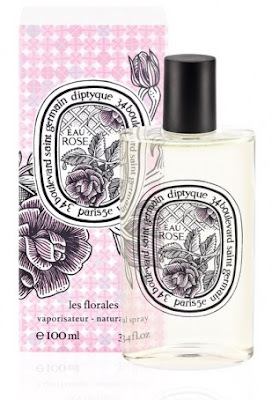 Already available at Diptyque boutiques, on SpaceNK (in the UK) and on the Aedes website. 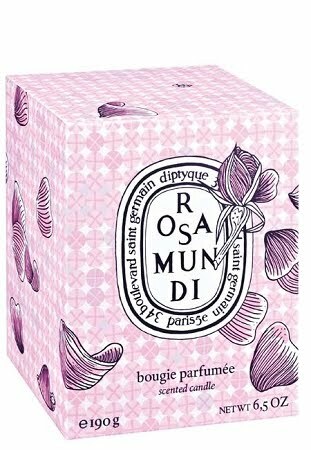 A limited edition candle focused on rose, Rosa Mundi comes in 190gr glass jar for 45 euros. A surprising scent... soothing, romantic and sparkling. And a name that sounds like an ancient rose, a descendant of the famous Damask rose...and the love story that has become legendary through the centuries. The new graphic design of the packaging and the label of the candle makes it a special presentation amidst the Diptyque range. Do you like the packaging? Some guys at BN forum were complaining it's a bit granny. Definitely old fashioned packaging, but I sort of like it actually. Funny thing to me is that the actual rose Rosa Mundi, which I grow, is known to have little to no scent at all! I guess unless you are a gardener, you wouldn't know this, but I had a chuckle anyway! I have been reading up on roses lately, and was surprised to find out that some of the most impressive-looking variants do not possess a potent scent! Indeed the trailing fragrant varieties are not that many. I believe Diptyque are going for an effect and the romance of the name (rosa mundi = rose of the world >Rosamund), rather than the actual garden variety; though they're not 100% clear on that bit!